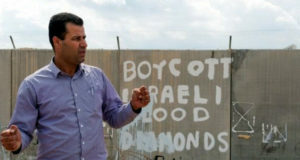 The “Friends of Freedom and Justice” committee in Bil’in village, near the central West Bank city of Ramallah, reported on Thursday that Israeli troops abducted Iyad Burnat, head of the Popular Committee Against the Wall in Bil’in. 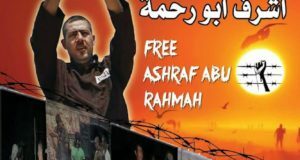 Burnat was kidnapped by the soldiers on Thursday morning, approximately at 09:30 a.m. He was on his way to visit the village of Naalin, also near Ramallah, and was accompanied by a group of American peace activists. 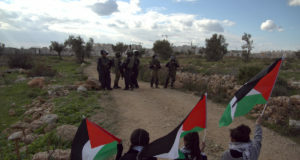 Troops stationed at the entrance of Naalin barred Burnat and the activists from entering the village under the pretext that “it is a closed military zone”. Soldiers detained Burnat for several hours and released him later on.